it is staffed by highly qualified, international lecturers. The International Bachelor Communication and Media takes a comparative, international approach to communication and media. Thanks to the programme's small-scale and personal set-up, its balance between practical and academical skills, its options for customisation, exchange and the compulsory internship, graduates are well prepared for both advanced studies as well as for a career in a number of fields, such as marketing, management, corporate communications, public relations, internal communications, government, public affairs, journalism, entertainment and the arts. Within IBCoM, every individual is unique, but they all share international ambitions and a passion for communication and media. possibility to go on exchange. The Communications and Media programme’s academic year is divided into four terms, starting in September and finishing at the end of June. Each term is comprised of three different courses. This not only ensures that the workload and exams are spread evenly throughout the year but also encourages you to work in a disciplined and effective way. The International Bachelor Communication and Media facilitates and stimulates cooperative learning. It also encourages you to think critically and generate new knowledge, rather than simply accumulating facts. All courses feature a combination of instruction, interaction and practical training, including applying theoretical knowledge to actual cases. You will also have the opportunity to work in groups and to develop your team skills. Field of study: Communication, Media, Business, Humanities, Arts, Social Science. Key words: Communication; (new) media; business; research; creative industry; organizations; journalism; public relations; politics; globalization; society; exchange; international; interactive; personal; flexible; multicultural. After graduation: Master’s programmes within and outside Erasmus School of History, Culture and Communication can be accessed with a specific Elective and/or Minor in the student’s field of interest. A substantial amount of courses in the field is always required. Facilities: Erasmus University Rotterdam offers a wide range of campus facilities and services ranging from the sports building to the Language & Training Centre, as well as housing, a food court and supermarket, bicycle repair shop, computer rooms, copy shops, a hairdresser, a prayer room and several libraries. A doctor and dentist are close by. 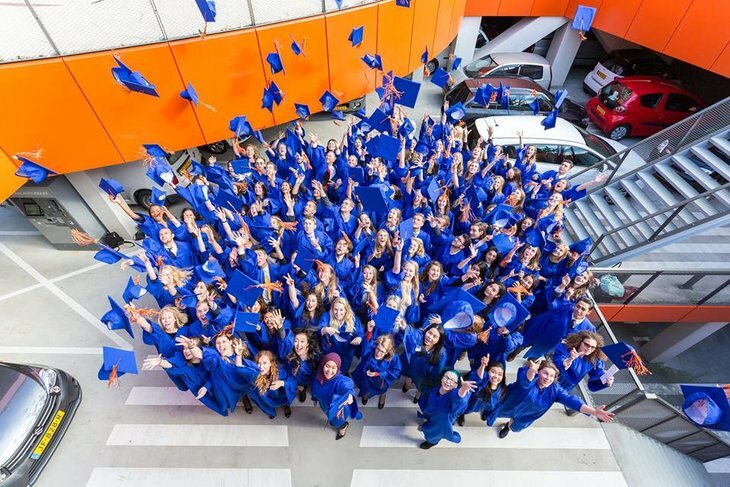 Activities: Students can join numerous study related and social activities throughout the year, such as conferences and seminars, drinks, study trips, music sessions, lectures and language courses organized by different (student) associations at Erasmus University. IBCoM for incoming students: IBCoM students will be assigned an IBCoMpanion, who will be available for questions and help throughout the summer and the first semester of the Bachelor 1 year. Furthermore, there are orientation activities to help new students get to know the city, the programme and each other. Within IBCoM, there is a strong sense of community, also known as the IBCoMmunity. €2.060 for EEA students; €6.900 for non-EEA students. €500-€600 per month. Both on- and off-campus student housing is offered. Students will be assisted by the university to find suitable housing. It is mandatory by Dutch law to have health insurance. Flight(s) and/or travel arrangements, books, materials, and personal expenses are not included in the tuition fee. A visa and/or residence permit is required for students from outside the EEA. Students will be assisted by the university to get a visa and/or residence permit. €2,060 per year for EU/EEA students and €6,900 for non-EEA students.